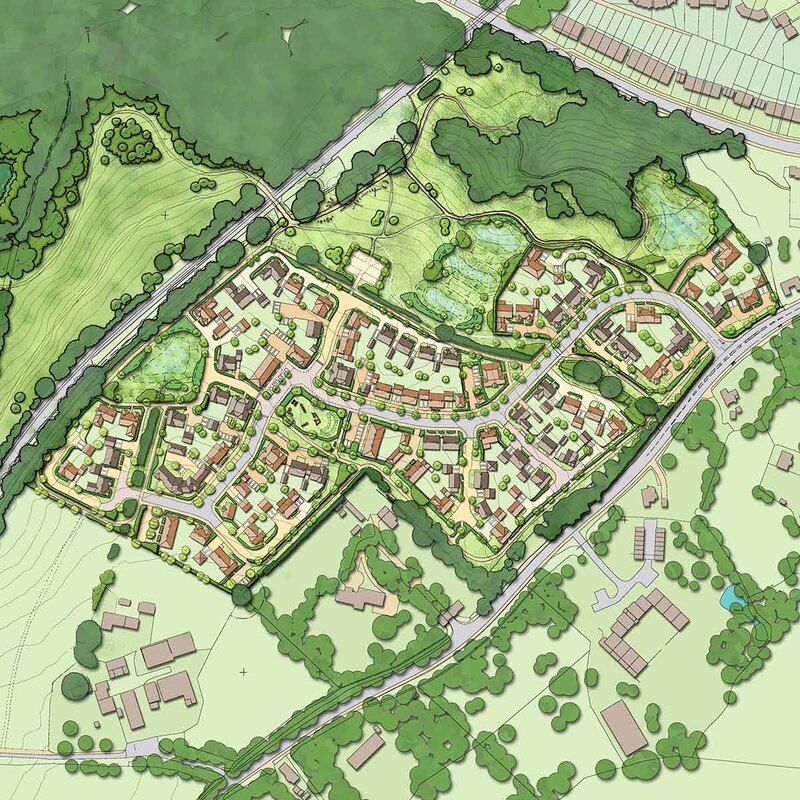 Masterplan for 200 new homes in East Grinstead, West Sussex. CSA’s urban design team were commissioned by Linden Ltd to prepare a masterplan for 200 new homes at this challenging West Sussex site. The masterplan had to sensitively address a number of key site constraints, which included the setting of an adjacent listed railway viaduct, challenging on-site topography and the presence of an ancient woodland. 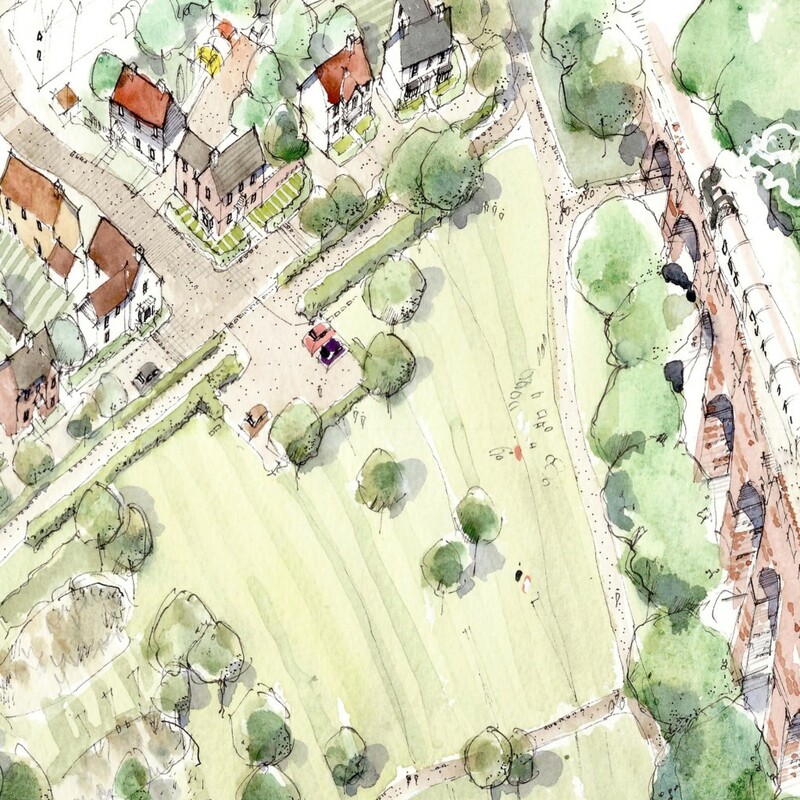 The design proposals also had to consider how the new development could maximise connectivity with a SANG (Suitable Alternative Natural Greenspace), which was required as part of the planning application to provide an attractive alternative to recreational use of the Ashdown Forest SPA/SAC.